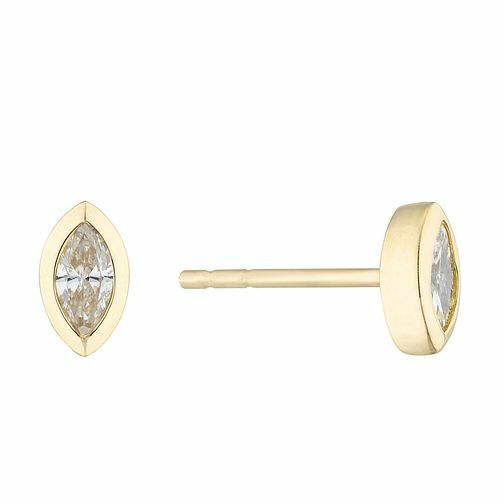 Understated and elegant, these yellow gold earrings are made with 9ct yellow gold and contain a marquise cut diamond stone. Their simple beauty will be a gorgeous addition for any occasion. The total carat weight of both earrings is 0.15ct. Understated elegance for any occasion.